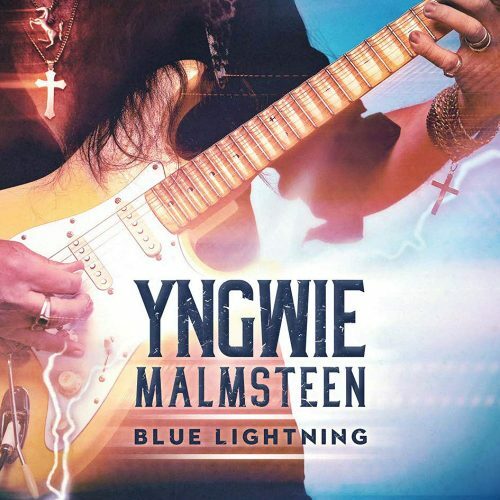 Yngwie Malmsteen’s new album Blue Lightning, due for release on March 29 via Mascot Records, contains two Deep Purple covers — Demon’s Eye and Smoke on the Water. Plus a cover of Paint it Black, which may or may not be closer to Purple’s version than to the original. The album is said to pay homage to blues and is a collection of covers much in the same vein as his 1996 Inspiration album. When I was ten years old, I got Deep Purple’s ‘Fireball’ album, which I have always thought was very undervalued. And the song that really killed me was ‘Demon’s Eye’. And I was very keen to do it for the album. Thankfully, the key was just right for my voice, and I had so much fun doing it. In fact, I would say that I had a great time doing all the songs here. Thanks to our editor emeritus Benny Holmström and Blabbermouth for the info. Posted by Nick Soveiko on Wednesday, March 20th, 2019, filed under Blog. You can follow comment on this post through the RSS 2.0 feed. You can skip to the end and leave a comment. Pinging is currently not allowed. After Relentless – And Perpetual Yngwie who now thinks he can sing is absolutely useless! His version of ‘While My Guitar Gently Weeps’ on that album is one of the worst things I’ve ever heard. After Facing the Animal album, a downward spiral. What an awful treatment of this beautiful Harrison song. Should have never happened. I hope I never hear him destroying Demon’s Eye. @1 It’s Eric Clapton playing on that track actually, but agree, Yngwie should have left it alone as he ruins it. Here he goes again, will he ever learn? Apart from all that noodling on the guitar, you can’t even hear the rest of the band because the entire music is drowned by an epic amount of reverb, it’s ridiculous. This artificial pseudo-bombast is really annoying. He could have improved it with a pair of 10 minute drum & bass solos in the middle… & added cookie monster vocals to balance the whole thing out!. Wow that actually did make me weep. The last good Album that I really rated was his first solo record. Far beyond the sun, now your ships have burned…good stuff! It’s alright. He likes it like that. But you don’t ask money for your home covers, if you are rock star. I mean if Yngwie wants to become less popular than he was once, it’s alright. This is his choice. Scott W @ 16- it is interesting you say that, as I am in the same boat. I would never listen to Malmsteen murdering a classic, as it is very predictable that he would do just that! Interesting to read peoples comments here though. I originally purchased ‘Rising Force’ for two reasons. Malmsteen being a new upcoming guitar wizz & Barriemore Barlow (ex Jethro Tull) on the drums. I don’t listen to Malmsteen at all these days & even find the instrumentals on his debut album rather boring at times. Good to read your Jeff Scott Soto & his vocal prowess comment. Brilliant singer & those are good songs indeed! I was always disappointed in Barlow playing those awful electronic drums, but it was the 80’s after all. Cheers. If I am not mistaken, Yngwie has already covered about 10 songs from Blackmore… Whose songs he declares not have listened to since he was seven years old… Which I think is very much possible, due to how wrong he plays RB’s songs… Yngwie should have stopped on Marching Out. Don’t cover the Beatles. Their songs are too perfect to change. Mr. Malmsteen you should stop right now. You are still the best guitarist. But you should stop singing ,playing bass,drums& … .You should work with talented musicians and respect them. Listen to their opinions and let them do their own stuff. There’s no place for “one man bands”. Successful bands like Deep Purple work as a group . If there were no challenges between Gillan & Blackmore ,there would not be none of the Dp’s great songs. May God put you on the right track to stop wasting your talent. His covering songs makes sense. Just look at his two songs, Blue Lighnting and SUTD – ridiculous!